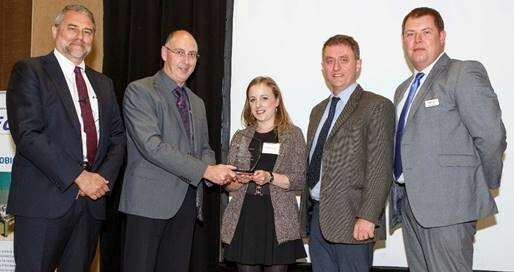 The Cré Awards 2015 celebrated the hard work, dedication and success of organisations within the composting and anaerobic digestion industry both in Ireland and Northern Ireland. An Awards Ceremony sponsored by Clarke Energy, McGill Compost and Edina was held at the Cré Annual Conference. Martin Eves (Chairman of Cré) said “congratulations to all the winners, every organisation is playing an important role in creating jobs within our sector. The InterTradeIreland market report estimated that our sector will grow to support 1,500 direct jobs and 1000’s of indirect jobs”. 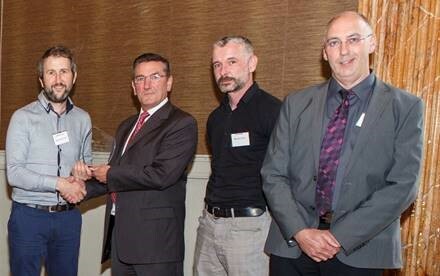 The awards were judged by an independent panel of judges; Elena Wrelton (ELV Environmental Services), Padraic O’Neill (Irish Bioenergy Association) and Hugh Coughlan (Eastern & Midlands Waste Region). 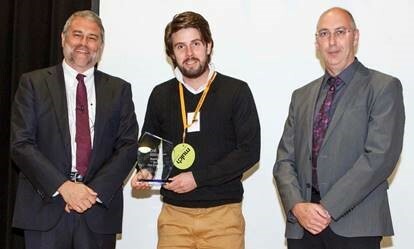 There was a broad range of applications for this category, ranging from how research can benefit the sector to companies demonstrating the work they are doing in persuading the general public to accept and use the brown bin. Sligo County Council won this award for implementing the national brown bin awareness pilot. This award is for the best managed composting or biogas plant in Ireland. The main criteria for this award won by Enrich are -Evidence of excellence in site supervision, operational features, best management practices, teamwork, staff welfare, data management, local acceptability, methods or systems for environmental management, plant maintenance, marketing strategy for compost products and general impression. In recognition of a facility which has clearly shown itself as an example for the industry to follow, the winner of the 2015 Cre ‘Highly Commended’ Award is – Mulch.ie which has a novel in door facility for the collection of green garden materials. Entrants for this category had to demonstrate methods of promoting separate collection and highlight innovative ways to educate users and control contamination. Success was measured on participation and contamination rates. It must be said that this category attracted a number of excellent collection schemes. Thorntons Recycling won this award for their brown bin collection service. The criteria for this award was to clearly demonstrate a ‘unique innovation that will or has led to increased economic benefit for the company or industry’ . 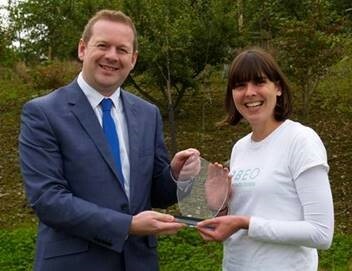 Obeo Ltd, a new National College of Art and Design (NCAD) spin-out company, co-founded by Kate Cronin and Elizabeth Fingleton, who developed a novel cardboard food waste kitchen caddy. The Obeo compostable food waste box sits conveniently on a kitchen counter top and is filled with daily food waste such as; plate scrapings, vegetable peelings and tea bags. Once full, after a 2-3 day period, the Obeo box along with its contents is placed directly into the brown bin and a new box is opened.